Want a guilt-free smoothie? 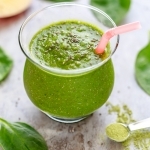 This is it, the beautiful and delicious green tea smoothie, powered with apple and spinach to treat your taste bud while cleansing and improving your skin and body too. As you may have know, Japanese green tea powder or matcha is made from powdering the whole leaf, thus contains over hundreds times more antioxidant than regular green tea. In case you don’t know, antioxidant are natural agent that help body with anti-aging and prevent chronic diseases. 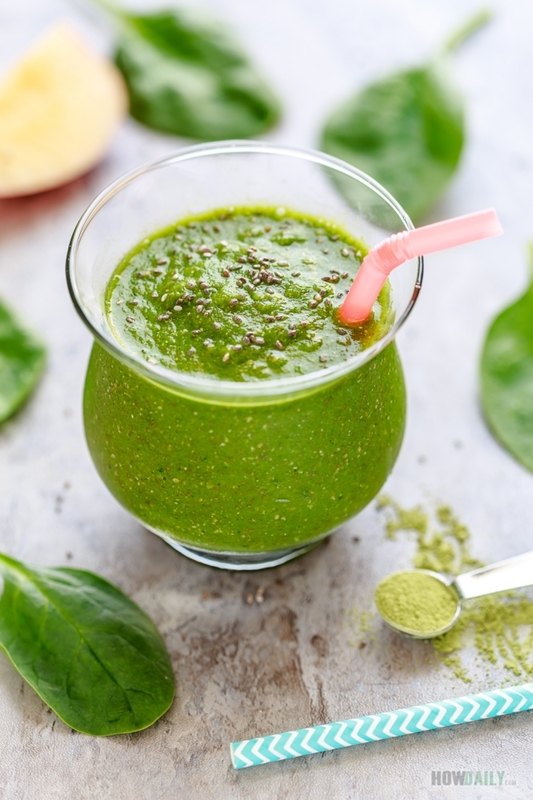 While many fruits and vegetable are applauded for their antioxidant nature, matcha remains the leading ingredient with exponentially more content. Matcha also contains loads of fiber, chlorophyll and vitamins such as C, A, selenium, cromium, zinc, magnesium, etc. Besides all the healthy nutrition and properties, match give your mind and body a boost of energy to work through the day while contribute to cleanse and weight loss. 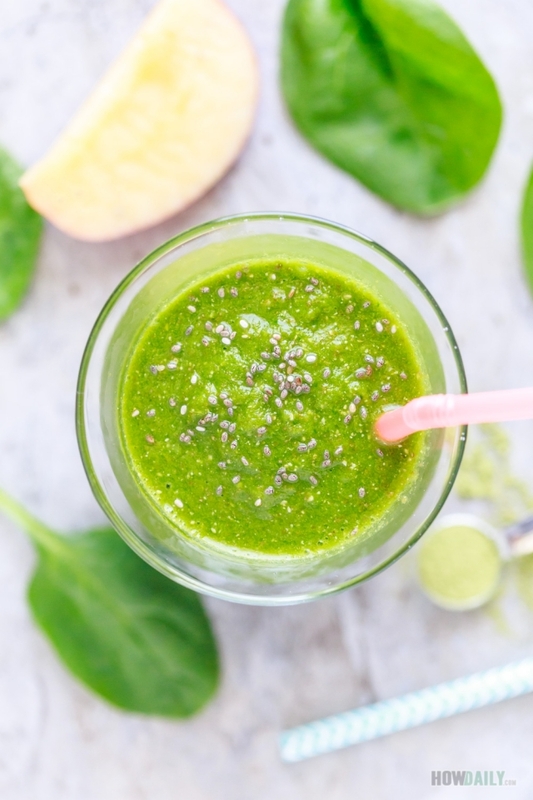 So, combining matcha with a large sweet apple into a powerful smoothie with some Popeye’s favorite spinach, this is one of my favorite drinks, and soon will be yours too. Throwing in a couple chia seeds to help too. For the liquid part (to help the blender moving about), I added apple juice or freshly made cider, depend on what’s on hand to vary the taste. For a more fulfilling appettize, replace this with almond milk, organic dairy or similar. Just make sure to chill ingredient before hand for extra cold temperature. Otherwise, just add more shaved ice. Peel, core and remove apple seeds. Add all ingredients into your blender, pulse a few times then blend until smooth. Pour into serving jars and sprinkle some chia seeds on top.